The Capture Coloured Denim Jacket has a collar and button fastenings, with panel detailing through the body. Flap pockets with button fastenings and concealed vertical pockets in front panels add to this classic fit style. 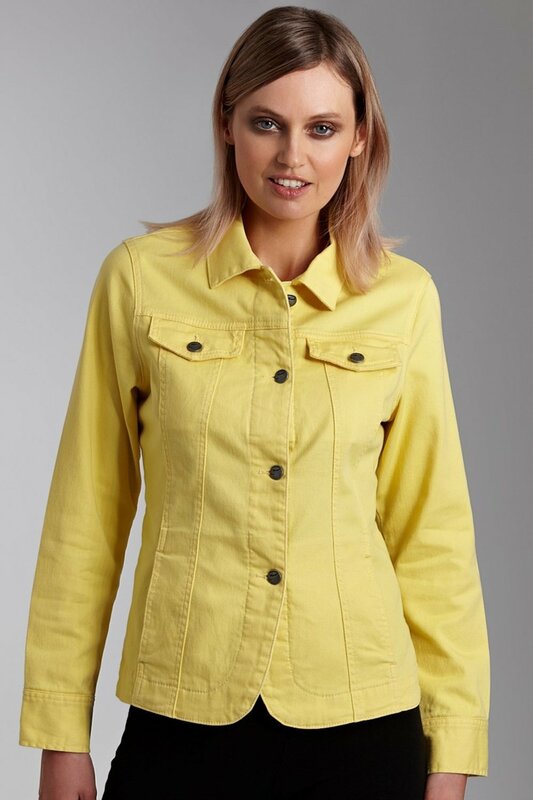 This jacket has long sleeves with button cuffs and is available in a wide range of colours. Cotton/elastane. Denim cotton/polyester/elastane.